This is part of a newsletter that Quiet Mind Horsemanship received from IDA (In Defense of Animals) regarding a BLM roundup of wild horses. Please read this article and submit comments to the link below. The comments that you submit will be forwarded to the BLM regarding this issue. Also you may post comments on below on this article and we will forward them to the proper people on your behalf. Submit Comments By April 2! Please send the e-mail at this page by April 2 to submit comments to the Bureau of Land Management (BLM). 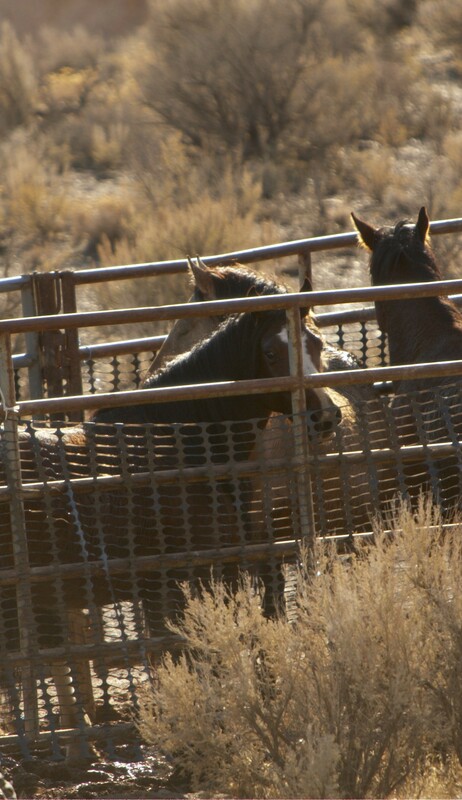 The BLM is continuing its business-as-usual roundup of wild horses. The latest proposal is to remove more than half of the 1,950 wild horses on 1.7 million acres of Herd Management Areas in southcental Wyoming. This is the beginning of the BLM’s process to remove wild horses in the Adobe Town and Salt Wells Herd Management Areas in Wyoming. It’s important that we submit our comments now to oppose this newest proposed assault on wild horses. The BLM claims that the Adobe Town Herd Management Area encompassing more than 472,000 acres can only have 610 to 800 wild horses and the Salt Wells Herd Management Area comprised of nearly 1.2 million acres can only sustain 251 to 365 wild horses. In Defense of Animals, located in San Rafael, Calif., is an international animal protection organization with more than 85,000 members and supporters dedicated to ending the abuse and exploitation of animals by protecting their rights and welfare. IDA’s efforts include educational events, cruelty investigations, boycotts, grassroots activism, and hands-on rescue through our sanctuaries in Mississippi, Mumbai, India, and Cameroon, Africa.